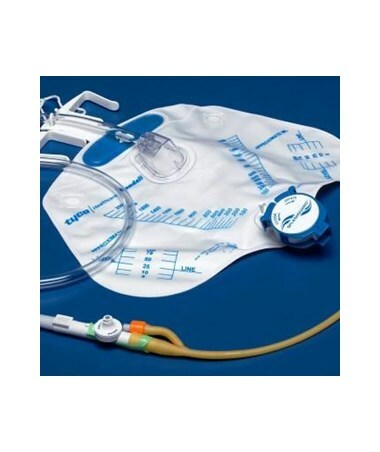 The Curity Ultramer Latex Foley Catheter Tray 6014 is an all in one package for catheter insertion and urine sampling. This tray features a drain bag complete with the mono-flo anti-reflux device, safeguard needleless sampling port and splashguard II drain spout. 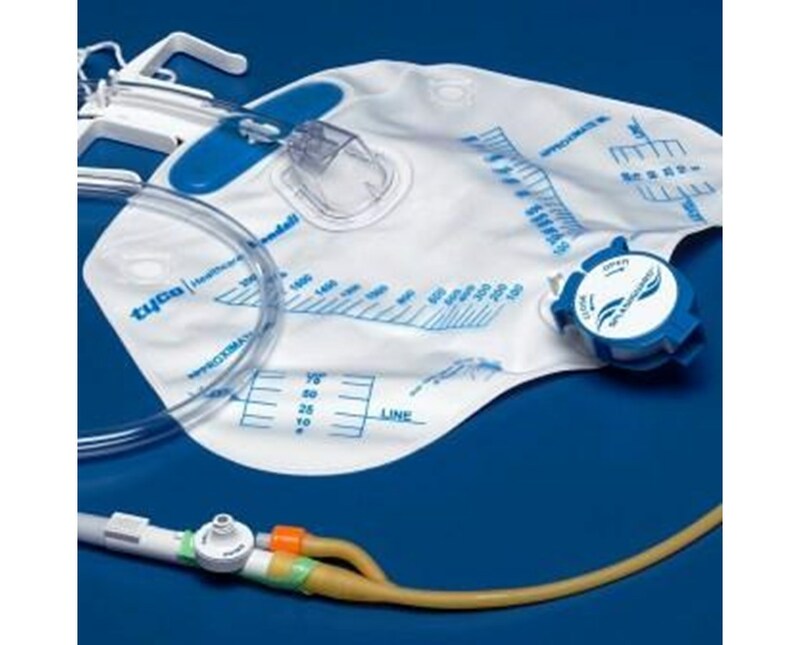 Included in the tray set is an Ultramer latex foley catheter, 16 FR, 5cc, 2-way, 17”. The ultramer catheter has a hydrogel coating with large, smooth drain eyes and a ribbed balloon. The valve is a bespak spring-loaded valve. Ultramer Catheter, 16-18 FR, 2-way, 5cc, 17"